Who Should Buy These Laptop? What are the Core Features of a Slim Gaming Laptop? Razer Blade; Worth it or Not? 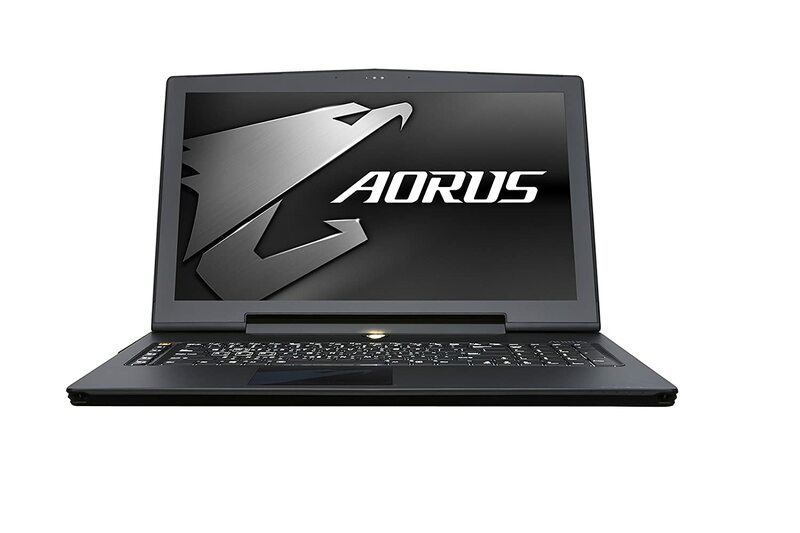 Aorus X7 Pro; The Ultimate Thin Gaming Laptop? There was a time when someone talked about gaming laptops, the first thing that came to their minds was big and bulky machines. Fortunately, that is not the case now. These days gaming laptops come in all shapes and sizes. Yes there still are big gaming laptops out there in the market, but now the Gamers have the option of choosing light and thin gaming laptop as well. With some you may have to pay a high premium for their thin profile; however, others are cheaper than even their bulkier counterparts. Usually you will notice that the thin and light laptops are low tiered gaming laptops, meaning they do not feature the top end graphic card. 7/10 14" QHD+ Touch IGZO Intel Core i7-6700HQ 16GB DDR4 NVIDIA GeForce GTX 970M 0.7 inch 512 GB SSD 3 x USB 3.0, Thunderbolt 3, Wifi, Bluetooth. Here we will talk about some of those thin and light gaming laptops out there in the market. You will notice that there is one particular laptop that charges a ridiculous amount for its premium build quality. I am sure you all know which laptop I am talking about (Razer Blade). Although it is included in this article, its performance/dollar value does not justify it to be in the top three. We do not want people to spend on something that is twice as expensive as some of its counterparts. I know some of you would be disappointed to not find that laptop in the top 3, but that is just how it is. This website is built to provide customers with honest reviews. We do not want people to spend on something that is twice as expensive as some of its counterparts. We do not claim Razer Blade to be a bad laptop, we just think it is overly priced. It is asking for huge premium for very little. As you will find out further in this article, Razer Blade isn’t entirely the pinnacle of thin gaming laptops. There are better and much cheaper options available. You should also note that there is a distinct relationship between the size and performance. So far, well at least as far as out current technology goes, thin gaming laptops are not on par with their bulkier counterparts. You will not see them featuring the high end NVIDIA GTX 980M graphics card, let alone an SLI or Crossfire configuration. (Well, just to let you, the technology has already evolved to incorporate SLI configuration, check out Aorus X7 Pro V5-SL2, a 0.9 inch gaming monitor with two NVIDIA GTX 970M). Thin gaming laptops of 2016 just don’t have the an advanced heat dissipating technology to withstand the heat given out by more powerful components. With that said, judging by the current trend of gaming laptop, that is certainly going to change soon. Gaming laptop thin and light come in many different shapes and configuration, let us have a look at a few. Remember, thin gaming laptops are not same as gaming Ultrabooks. There are very few laptops that rarely show up but when they do, they sweep the market. This is one such laptop. With an unbelievable price tag and hardware suitable for almost all kinds of games, this is a laptop to go for even if thin is not your primary requirement. For starters, this laptop is only 1 inch thick. This is thinner than many multimedia laptops out there. 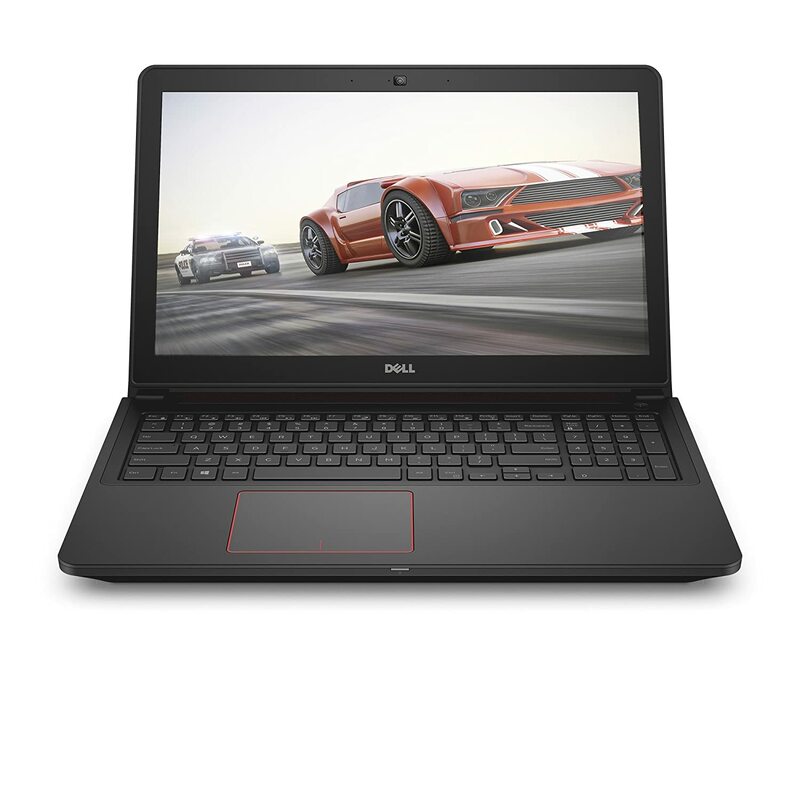 Dell Inspiron i7559-763BLK is one of the few dedicated gaming laptops by Dell available in the market. Usually the gaming wing for Dell is considered to be Alienware. However, not with this laptop. This laptop has the same sleek and slender looks of the Dell Inspiron series, but additionally it has some accents added to it such as red linings. These additions are subtle so that the this laptop preserves its simplicity. The design profile is just the beginning of the story for this laptop. Not only is this a thin gaming laptop, it is also one of the cheapest gaming laptops out there. 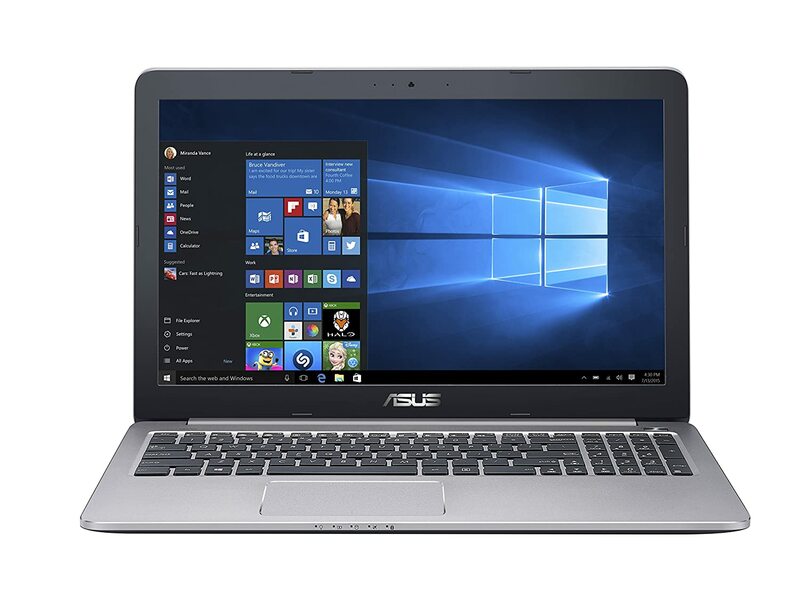 This laptop features an Intel Core i5 from the latest sixth generation. The Intel Core i5-6300HQ. This is a quad core processor with turbo frequency of upto 3.2 GHz. Along with that, this laptop boasts NVIDIA GTX 960M with 4 GB DDR5. Now with thin and slim gaming laptops, you will usually notice that they mostly feature NVIDIA GTX 960M or 96M as stated earlier. So if you are out looking for GTX 970M or 980M you will have a hard time finding. Even if you do find, such as the Razer PRO which features GTX 970M, it is going to be super expensive. Another great thing about this laptop is that the hardware greatly complements each other. The Intel Core i5-6300HQ goes perfectly with the NVIDIA GTX 960M. Do not get turned down by the lack of a Core i7 processor, because there is really no need. Had this laptop featured NVIDIA GTX 970M, then you can have complained for a better processor. But with this graphic card and 8 GB of RAM, Intel Core i5-6300HQ is quite sufficient. Furthermore, this laptop features a beautiful FHD IPS screen as well as 256 GB of SSD with an additional slot of 2.5″ SATA HDD/SSD. All this well within $1000 range. Not only is this a thin gaming laptop, it is also one of the cheapest gaming laptops out there. If you are looking for a thin gaming laptop under 1000, well you have found one that is much cheaper than that. The best thing about this laptop is how optimized the hardware is and how everything complements each other. It is not the most over the top hardware; however, it does give you the best value for money. Another amazingly slim gaming laptop to get is the GS70 Stealth Pro-006 by MSI. It is only 0.8 inches thick. Slimmer than the Dell Inspiron listed above. It is more expensive than the Dell but for good reasons. The slim profile itself warrants for a bit of a premium. If you want to get a gaming laptop that is as thin as possible, then this should be high on your list. If you want to get a gaming laptop that is as thin as possible, then this should be high on your list. Other than that, it has a much powerful hardware. Now the reason this is not listed as no. 1 despite the fact that is slimmer and the more powerful than the Dell Inspiron is simply because it does not offer the same price value. Anyhow, this laptop offers the powerful Intel Core i7-6700HQ processor. This is a processor that has swept the market with its powerful performance. This powerful processor, successor to the Intel Core i7-5700HQ. It is a quad core processor with hyper threading enabled. Furthermore, it offers a great graphics card, the NVIDIA GTX 970M. This is the best graphic card that you can get in a thin laptop while still maintaining a reasonable price range. Compared to the NVIDIA GTX 960M, this is significantly better in performance. The hard drive configuration is also quite sweet. This laptop offers a high performance 1 TB HDD with 7200 RPM as well as 128 GB SSD. Although this is a slim laptop, the only potential drawback for those looking for portability is that it is 17.3 inch in screen size. This is yet another fairly light and thin gaming laptop. The best thing about this laptop is that it is affordable and it has a powerful Intel Core i7-6700HQ Quad Core processor. So if the Intel Core i5 did not interest you in the no.1 Dell gaming model listed here, then this should interest you. Of course it will cost more. Other than that it has 8 GB of DDR 4 RAM – something which the top 2 lack. This RAM has clock speed of 2133 MHz. If you want to be the first one to try out this RAM, you can take your chance with this laptop. 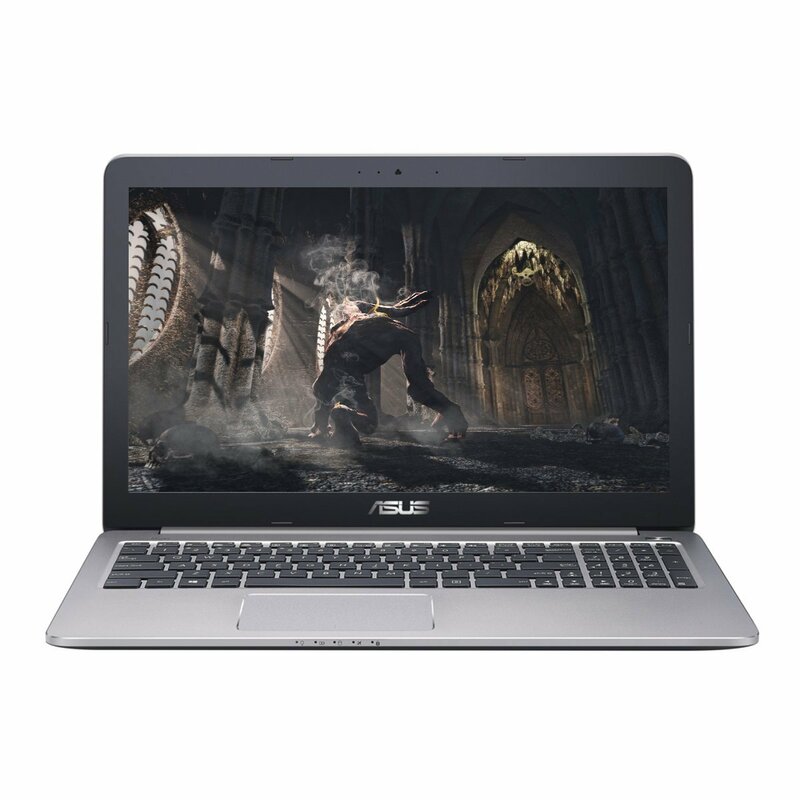 The gaming powerhouse of this laptop is the NVIDIA GTX 960M with 4 GB GDDR5 VRAM. This is the same mid range gaming graphics card that is to be expected from most thin laptops. As for its profile, this laptop is 0.9 inches thin and 5.1 pounds in weight. This is the lightest in the top 3 list. Along with that, this laptop has a beautiful IPS FHD screen. One unique feature it has is the 4 speaker surround sound. Although this should matter little to gamers as they often have earphone or headphones, it is still a great thing to have. For most of the enthusiasts out there, gaming is a core component of their life. However, carrying gaming around with you could be a challenge. Most of the conventional gaming laptops are thick and heavy making it cumbersome and uncomfortable for you to carry around. A few years back, most of the PC gamers did not have any choice. They had to invest in a bulky laptop in order to play on the go because lighter and thinner gaming laptops were just no available. However, that has fortunately changed. With the current technology that we have, laptops can finally be put installed with powerful hardware while maintaining a profile that is slimmer and lighter than a conventional multimedia laptop. So if you are someone who has about $1,000 – $1,500 at an average to spend on a gaming machine, then these thin gaming laptops should tickle your fancy. These laptops are not just limited in performance for gaming, they can be used as workstations for performing professionals tasks such as editing or rendering. You do not want to spend a fortune just to get a thin gaming laptop. To start off with, the thickness of a thin laptop should not exceed 1 inch. If it does, then it beats the purpose of being a thin gaming laptop. Your priority first should be the slimness and lightness of the profile, and second it should be the hardware. Hardware is actually equally as important as the slim profile. A hardware should be worthy of a gaming laptop. So in terms of today’s technology. You should at least be looking for a Core i7 ‘HQ’ processor, along with at least 8 GB of RAM, and GTX NVIDIA 960M at the minimum.There can be exception of course. For example, if you are getting a thin laptop with a great graphics card, RAM but a slower processor like a Core i5, then you need to look at the how much it costs. If its giving you a good bang for the buck then by all means go for it. Another important thing that you need to take into consideration is how much of a premium a thin gaming laptop is charging just because of its slim design profile. You do not want to spend a fortune just to get a thin gaming laptop. In order to make sure, you need to compare thin gaming laptops with conventional gaming laptops. The good news is that the research has already been done in this article and the outlier – those that are actually charging a huge premium, have already been mentioned. The screen size of the laptop is also an important consideration. Gaming cannot possibly be done comfortably on smaller screens. Therefore, you should invest in a laptop that at least has 15.6″ inch screen. Some of you may even want to go for 17.3″ screen laptops. In the case of the latter, there would a trade-off between gaming comfortably and mobility. The resolution that you would generally get is FHD or 1920×1080. You can get higher resolution screen, but that would not be advisable because the gaming hardware in laptops is already weaker as compared to computer desktops. A good desktop gaming rigs usually have a hard time coping with higher resolution gaming, so laptops would have an even harder time. That is true with the current technology, it can obviously change in the near future. Touchscreen is not really recommended and you can disregard this as a gimmick if you find it on a thin gaming laptop. Why? simply because you will not need a touchscreen on gaming laptop that is at least 15.6″ thick and cannot turn into a tablet. A few years back if you had asked us, we would advised you to take thin gaming laptops with a grain of salt. However, now is the perfect time for you to invest in such laptop because the technology has matured and these gaming laptops have become quite affordable. A few years back Razer Blade was the slimmest and thinnest gaming laptop in the market. And because of that, it charged a very hefty sum of money. Fortunately, now there are plenty of even thinner gaming laptops out there with same or even better hardware configuration all at a very reasonable price. Everything we mention here is our personal opinion. There are only two thin gaming laptop that comes to mind that is priced ridiculously expensive, it is the Razer Blade Pro 17 and Razer Blade 14 QHD +. No matter what keyboard it has, not matter what trackpad technology it uses and no matter what material it uses, I cannot comprehend how a gaming laptop that has the same specs as any in this list would be more than twice as expensive. The latest model of the Razer Blade Pro 7 has Intel Core i7-4720HQ (not even the sixth generation processor), 16 GB of RAM, 256 GB of SSD (512 also available), and NVIDIA GTX 960M. This configuration at the time of writing this article costs more than two thousand bucks. This is more than thrice as expensive than the no.1 Dell Inspiron i7559-763BLK! The Razer Blade 14″ QHD+ costs above two thousand bucks, but it manages to offer GTX 970M along with a touchscreen. Now of course there will be some out there who will find reasons to justify this machine; however, to many this price is still incomprehensible. 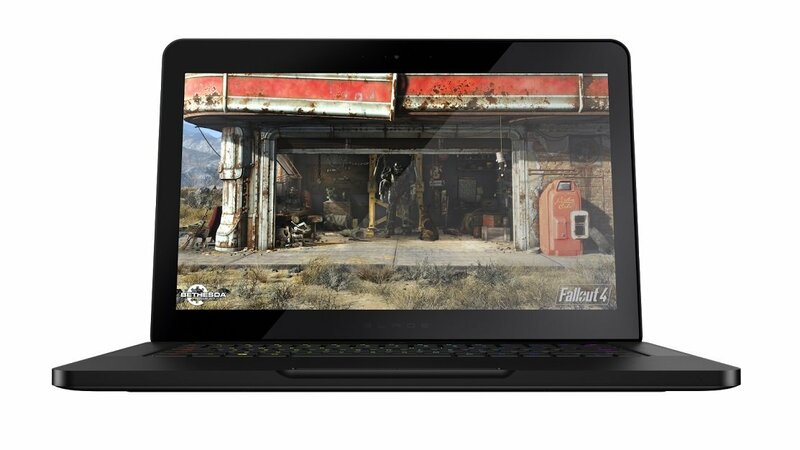 You can get a high end gaming laptop featuring NVIDIA GTX 980M for this price. Granted, both of these laptops are thin (0.88 inches for Razer Blade Pro 17 and 0.7 inches for Razer Blade 14″), the price is still unjustified. Unless you are a huge fan of Razer laptops, I see no other reason why opting for these laptops would be a good idea. You can call them super thin gaming laptop or ultra thin gaming laptops, but the fact remains, there are now slimmer and much cheaper gaming laptops out there. MSI Stealth Pro-006 is an example. They are calling this the ultimate thin gaming laptop and there is no doubt in it that this is the best thin gaming laptop of 2016 out there – hands down. Aorus X7 Pro V5-SL2 is nothing but a dream come true for the enthusiasts. Before you continue reading on and researching further into this gaming machine know that it is super expensive. In our opinion, the price of this laptop is quite justified given the hardware it packs. With that out of the way, now we can begin talking about the beast itself. This is a 17.3″ monitor with a 0.9 inch profile and it beats the status quo regarding slim and thin gaming laptops. Thin gaming laptops were previously considered to be the weaker version of the larger gaming laptops; however, this laptop really proves that wrong. This beast of a machine packs a supremely powerful Intel Core i7-6820HK processor, which has a significantly higher clock speed as compared to the Intel Core i7-6700HQ. However, this is just the beginning of the story. This laptop offers not one but two NVIDIA GTX 970M in SLI configuration. My comments earlier have already been debunked. On top of all that, this best thin gaming laptop 2016 offers 1 TB of HDD @ 7200 RPM, 512 GB of SSD and 16 GB of RAM. This is not just a gaming laptop, it is a workstation laptop. This model is one of the thinnest here with its 0.78 inches profile. Along with that, it is also super light weighing 4.7 pounds. 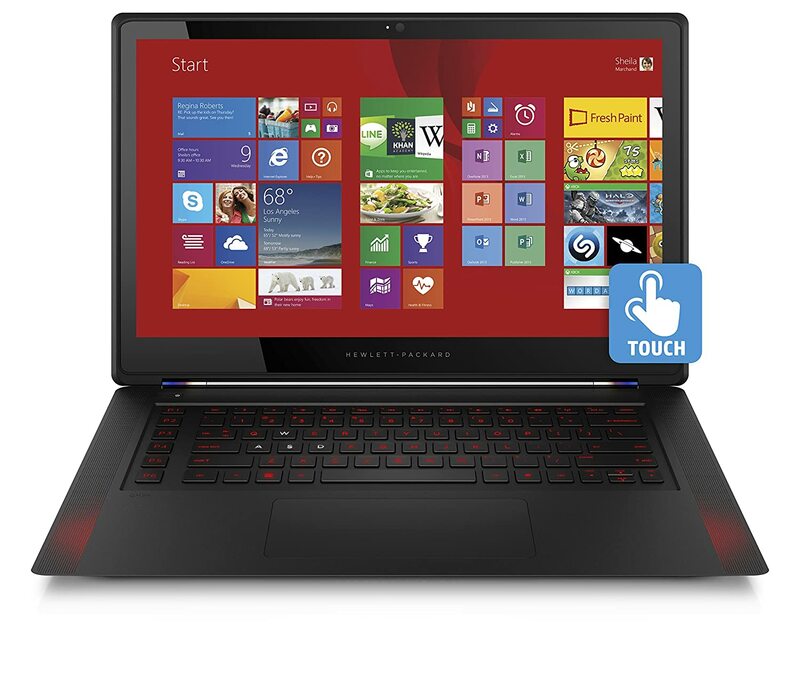 This laptop features Intel Core i7-4720HQ, 8 GB of DDR 3 RAM, NVIDIA GTX 960M graphics card and 256 GB SSD. Specs wise it is not the strongest here in this list. Design and profile wise it surely is. Another feature, which I am not sure if it should matter to gamers, is the Touchscreen. In the end, the laptop is expensive for the specs if offers. This basically is an affordable slim gaming laptop. It does not have the distinctive looks of gaming laptop, rather it looks quite bland. This laptop does pack a decent hardware for its price. 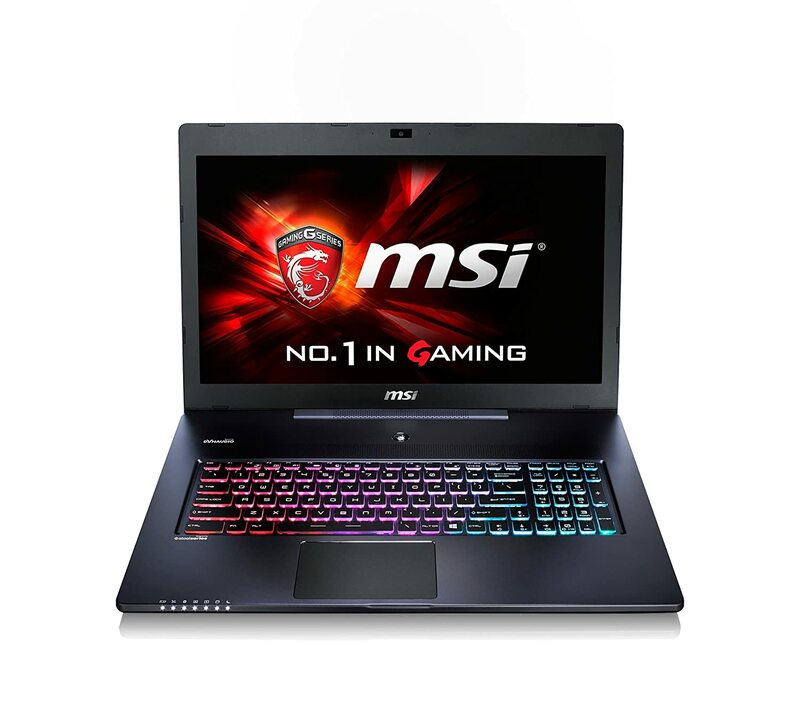 It offers Intel Core i7-6500U processor along with 8 GB of RAM, 256 GB SSD and NVIDIA GTX 950M. The graphics card is not the greatest so if I were you I would definitely go for the no. 1 listed here. They both cost the same, but the no. 1 listed here, the Dell Inspiron i7559-763BLK has a much better hardware for gaming. The best gaming laptop that has won the hearts of many gamers out there is the Dell Inspiron i7559-763BLK. It is super affordable and has a great hardware configuration. It measures about 1 inch in thickness. The second in line is more powerful than the Dell Inspiron i7559-763BLK, but is also fairly more expensive. 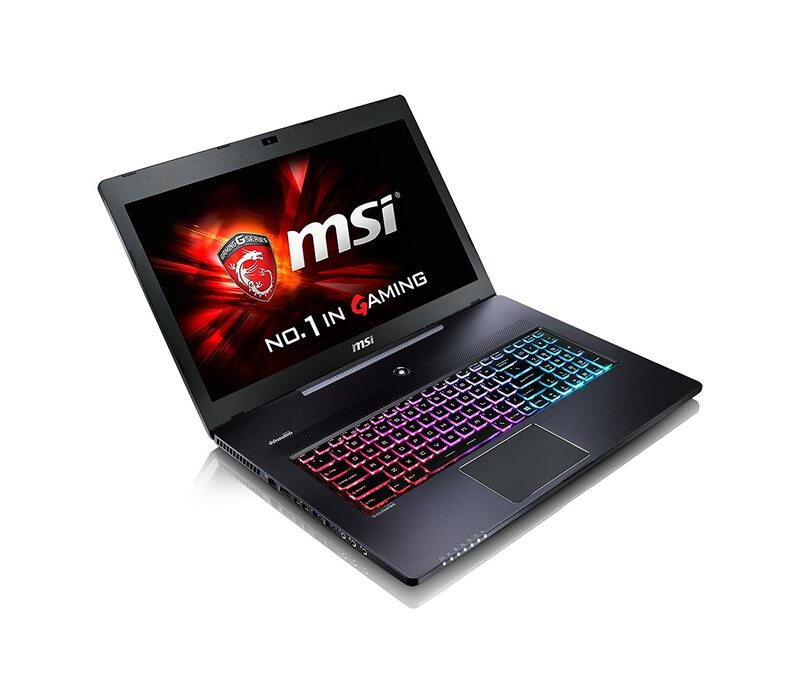 It is the MSI GS70 STEALTH Pro 006. This laptop has a design profile of 0.8 inches. 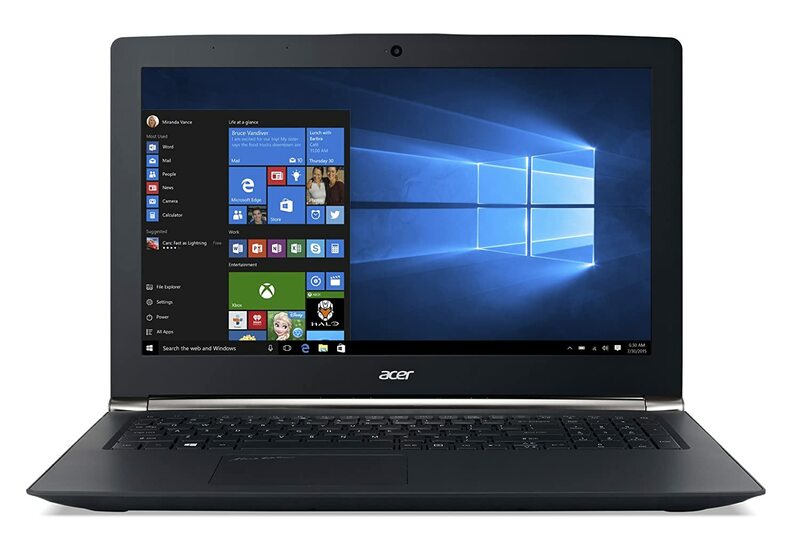 Lastly, we have the Acer Aspire V15 VN7-592G-71ZL. It has a decent hardware, a decent price point and thickness of 0.9 inches. There are also other great models in the market, some are cheap and some are expensive such as the HP Omen and the ASUS K501UX. There are also super expensive slim gaming laptops such as the Razer Blade Pro 17 and Razer Blade Pro 14.